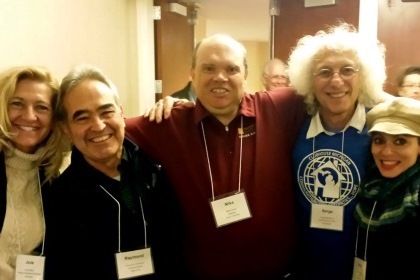 In response to growing demand in the US, Clubhouse International coordinated the first-ever USA National Clubhouse Conference, which was held in Silver Spring Maryland in November 2014. The primary focus of the conference was to begin coordinated national and states advocacy efforts. Nearly 300 participants registered for 14 workshops and 3 plenary sessions, which featured speakers from the USA Centers from Medicare and Medicaid Services, NAMI, Pennsylvania Office of Vocational Rehabilitation, and representatives from the American Psychiatric Association (Jeffrey Geller, M.D.) and the former Deputy Commissioner former mental health in NY and Maryland. We also had a presentation from a State Senator in Ohio and many Clubhouse leaders from across the US.